This font imitates a 2D-barcode. I just felt like creating something chaotic. The lower case are alternates for the upper case. Congratulations! FontStruct Staff have deemed your FontStruction worthy of special mention. “2D-barcode” is now a Top Pick. Thank you all, and thank you afrojet for the top pick. 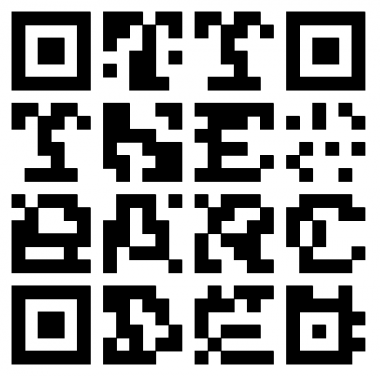 I was inspired by this and made my own QR-code font. Differences: 7x7 characters instead of 6x6, also added characters to make it look more like a QR-code. this reminds me of HRQR (Human Readable QR code) http://hrqr.org, but I think this actually is more readable.